Coca-Cola said Monday it will be releasing a New Year’s special package featuring BTS song titles. The company stated that the packaging intends to convey “hopeful messages to hard-working consumers that they are great the way they are.” The messages were influenced by BTS song titles as the band has been continually spreading positivity, the company explained. The packaging is in line with the “Share a Coke” campaign Coca-Cola has been promoting since 2014. Last year Coca-Cola also featured characters from Kakao Friends. 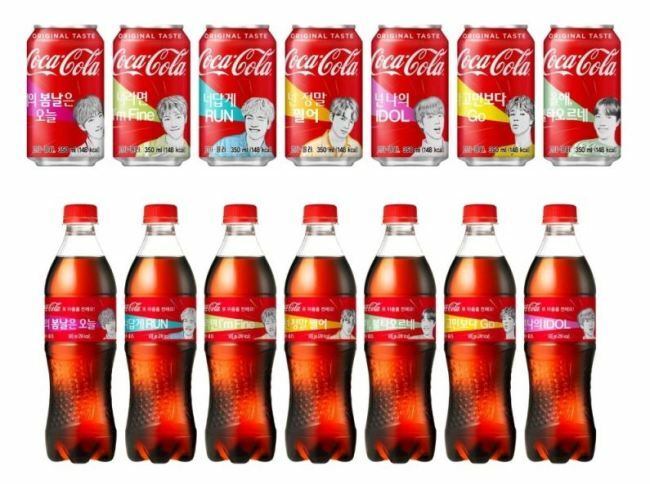 Coca-Cola previously teamed up with BTS in September to release limited edition glass bottles with images of the idol group. The group has also appeared in soft drink commercials alongside actor Park Bo-gum.